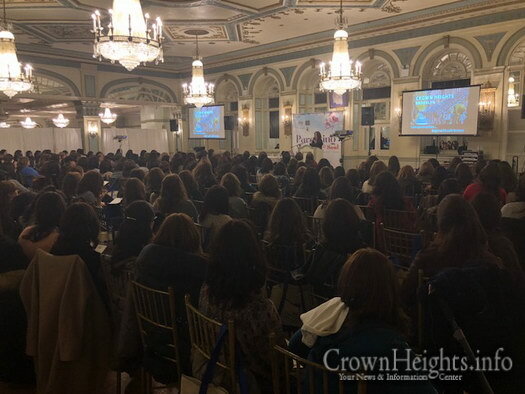 The event, a joint project of Operation Survival and Safety Kid, was the first time that these 3 world-renowned presenters appeared together in Crown Heights. 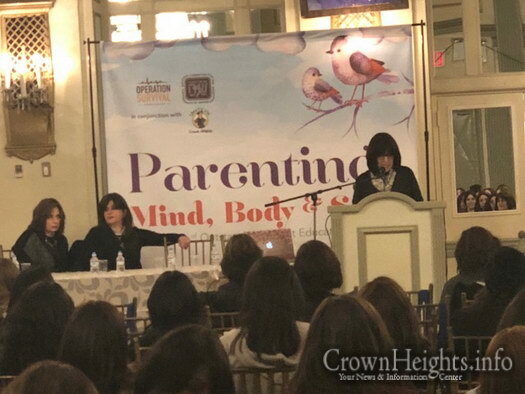 Mrs. Rivka Jungreis, a highly sought after therapist spoke about effective communication with children of all ages. 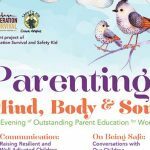 She offered easy-to-apply techniques for raising emotionally centered children, and rehearsed parenting techniques and strategies with her captivated audience. 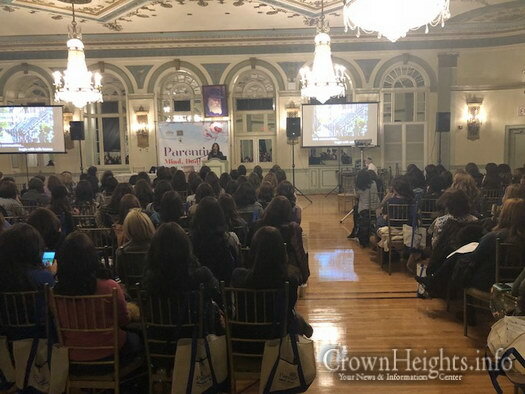 Mrs. Debbie Fox, founder of Safety Kid, addressed the importance of abuse prevention and presented an overview of how to keep children alert to people and surroundings that pose potential dangers. Mrs. Fox provided situation-specific and age-appropriate language for parents to use when speaking with children about personal safety. 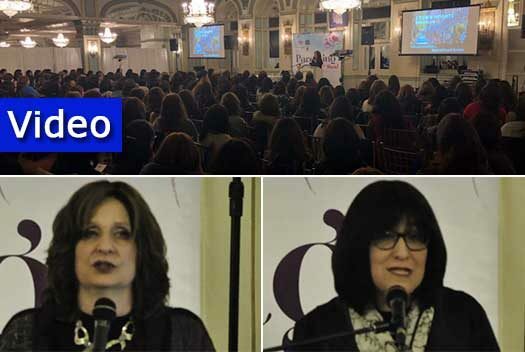 Hachai editor in chief, Mrs Devorah Leah (Dina) Rosenfeld served as MC for the evening, and presented poignant words from the Rebbe on the importance of parents raising and being mechanech their children b’simcha. 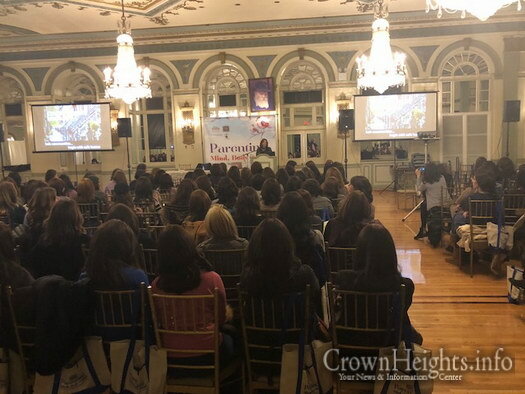 The educational event was made possible through partnership with Crown Heights schools and the office of Senator Jesse Hamilton. Looking for Some Solid, Down to Earth Parenting Ideas? Wow thank you for posting. I was there but I really wanted to be able to share what I learned with friends who weren’t. Where is the video of Mrs Jungreis? I loved how each of the speakers focused on a different important topic. Dina Rosenfeld’s words really hit the spot. 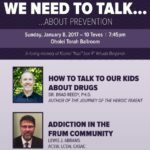 We have to remember to have more simcha as parents! !